Sint Annaparochie, Monday 13 June 2016. King Willem-Alexander and Queen Máxima have paid a visit to Campus Middelsee in Sint Annaparochie. By means of the Leerwerkplein (apprenticeship employment centre) of the campus, schools and companies from four municipalities collaborate intensively there, in order to connect secondary education pupils with the regional labour market. 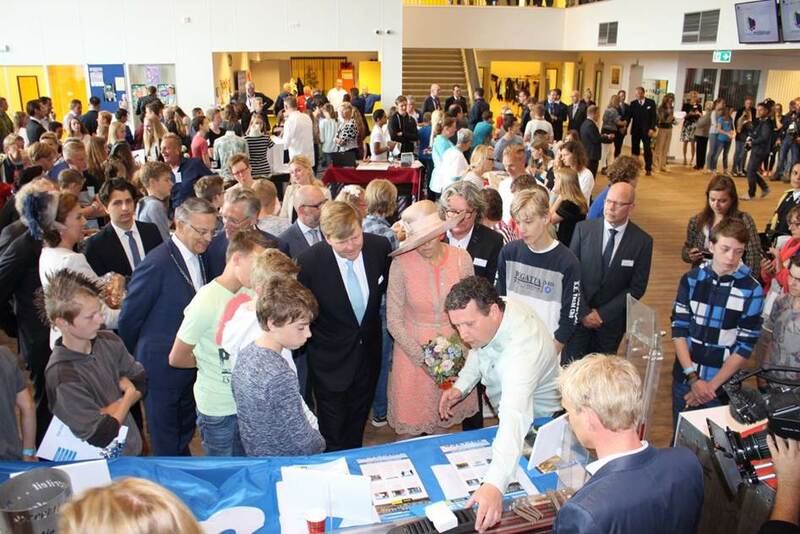 The King and Queen talked with people involved about the significance of this Leerwerkplein for the liveability and business activity in the region, and visited the ‘Entrepreneurs’ plaza’ where school pupils and potential future employers meet each other. Meijer Handling Solutions is one of the local companies which participates in this and was able, in the persons of Mr Hendrik Meijer (CEO of the Meijer Group) and Mr Jacob de Haan (Mentor), to be present at the round-table discussion.